Hi there! 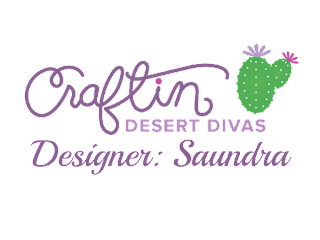 Saundra here to share a Valentine card featuring a few Craftin Desert Divas products. 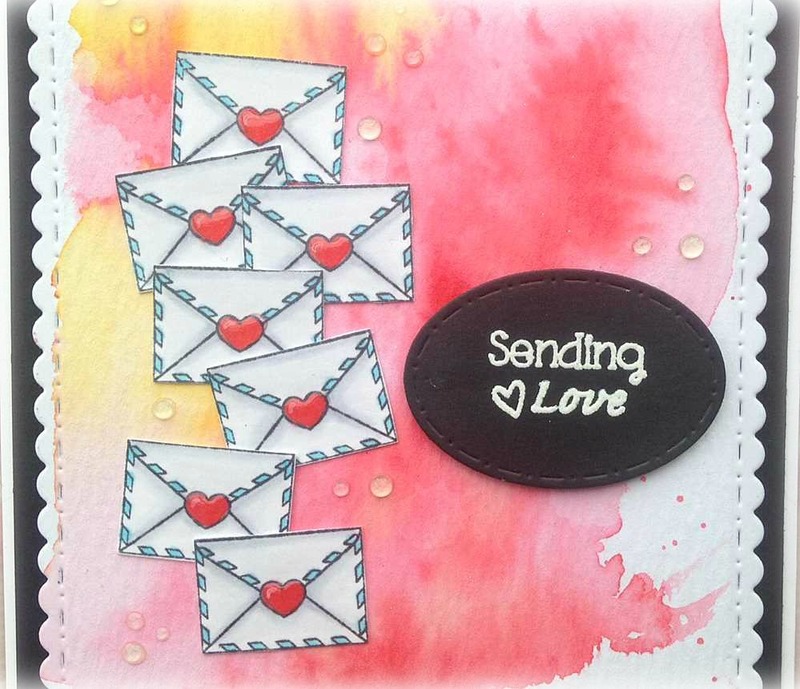 I love creating backgrounds with Ranger Distress Inks so that is where I started when creating this card. I used Mustard Seed, Worn Lipstick, and Festive Berries on my background. Once dry, I cut out my panel with CDD Fancy Frame Dies. This is one of my favorite dies. I use it all the time! I stamped several envelopes from CDD Sending Love set and colored them a bit with Copic Markers then arranged them where I wanted them on my panel. My sentiment is from this very same stamp set. It was eat embossed with white embossing powder on black cardstock. I cut it out with a die from CDD Pocket Pieces Hello Dies. 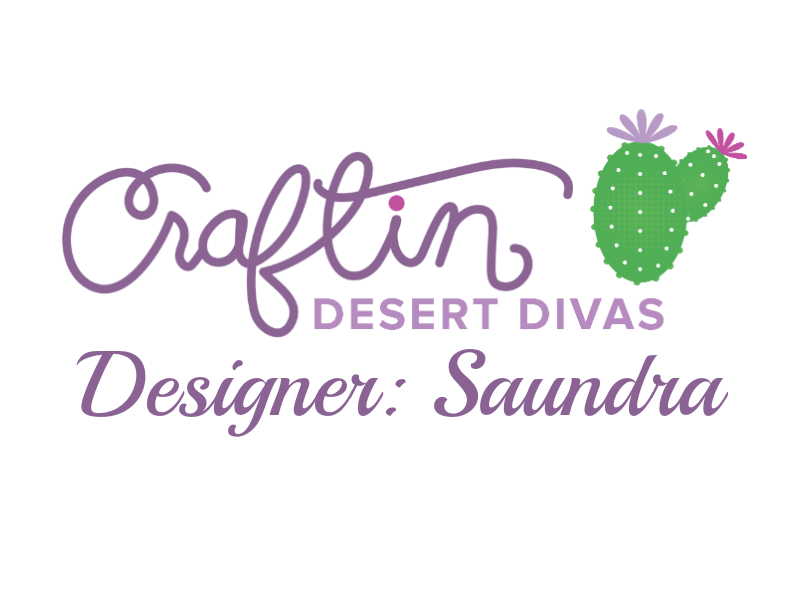 For a finishing touch I added crated some random dots using Ranger Glossy accents. I love the way this card turned out and I hope you do too! LOVE this card! 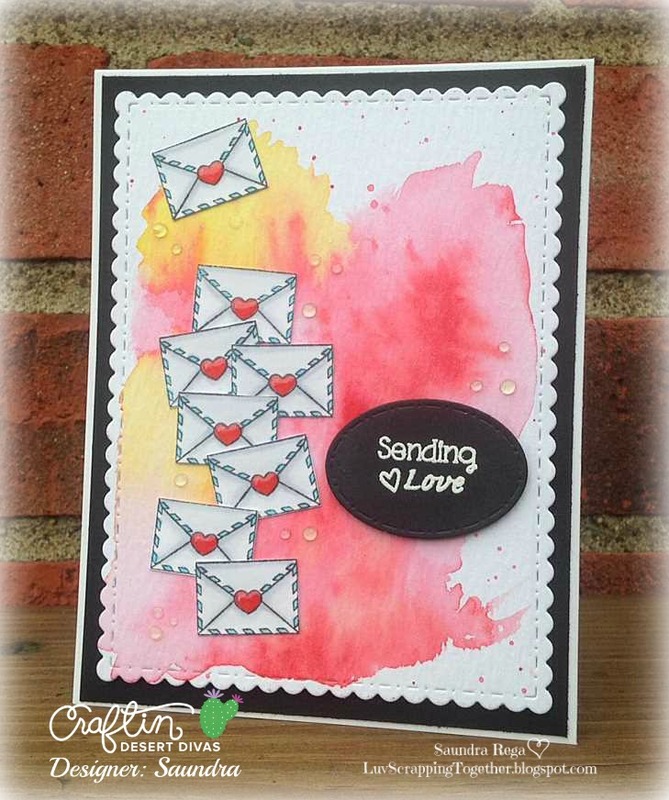 Such a fun idea and that background is FAB!